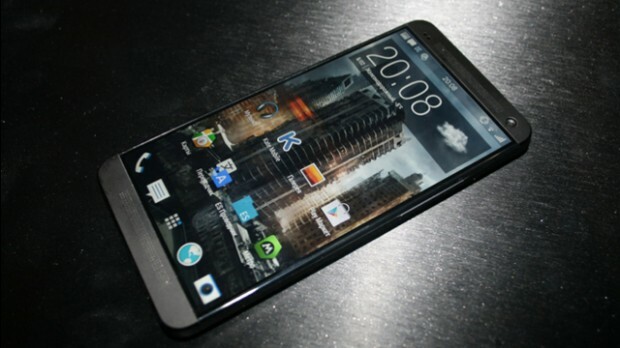 Things are definitely hotting up around the device that’s set to supersede HTC One, the HTC M8. Almost every day we’re seeing a new leaked image or screen shot of the phone that’s soon set to become HTC’s new flagship device. This week we saw images of the HTC M8 which appear to confirm the claims that HTC have done away with the on screen buttons in favour of capacitive buttons below the screen. However, other images, including the ones in this post, seem to show a lack of both on-screen and off-screen buttons which is one reason why many are calling the current round of leaked images ‘fake’. 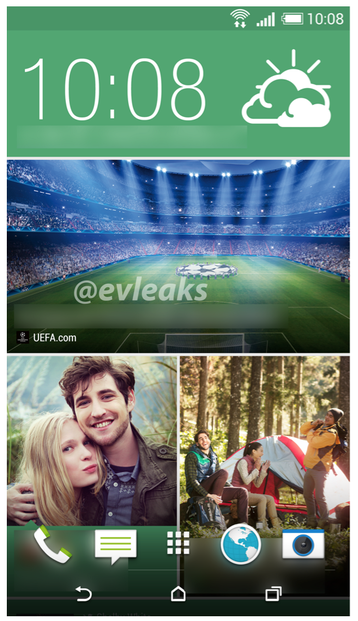 Other images released this week reveal the new look of HTC Sense 6 and, in particular, how Blinkfeed has just become a whole lot sexier. The final launch name of the HTC M8 is still not known and suggestions such as HTC Two, HTC One 2 and HTC One+ seem to be quite popular at the moment. In Previous leaks we heard that HTC M8 will have Qualcomm 2.3GHz quad-core Snapdragon 800 processor with a 5-inch display and 2GB of RAM. It is also said to come with 16GB internal storage and microSD card slot. Android KitKat 4.4 will be the order of the day and there’s the expectation of WiFi supporting the new 802.11ac standard too. When it comes to the cameras, though, there’s some disagreement as to what the final device will hold. Some claim that there will be two 5MP Ultrapixel cameras on board while others state that the it’ll be the same 4MP Ultrapixel camera on the back and 2.1MP on the front. I certainly hope that HTC don’t just roll the same camera from the HTC One in to the M8! I wonder if the above specifications, if accurate, are enough to turn around the fortunes of HTC. A 5-inch 1080p display and 2.3GHz quad-core CPU aren’t exactly cutting-edge and we’ve seen other devices with the same level of specification released over 6 months ago. The HTC One itself wasn’t exactly at the pinnacle of technical specification when that launched last year but that didn’t stop it from becoming an extremely popular phone.